Star Trek fans across the planet have been intrigued by the many mysteries of Star Trek: Discovery! No enigma has sparked more debate than the identity of the crew wearing those beautiful division badges that have come to be known simply as "The Black Badge”. 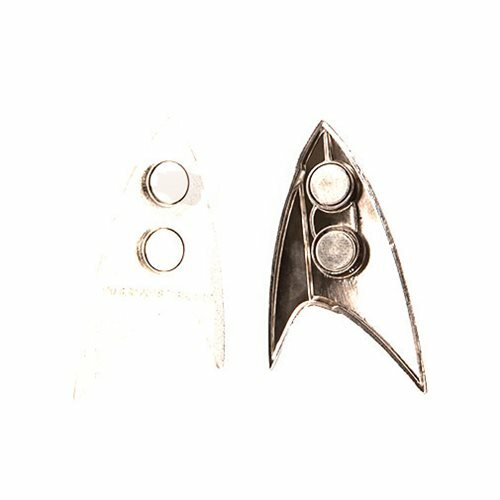 The mysterious black badge joins Quantum Mechanix's line of screen-accurate Star Trek badge replicas. Each design were taken directly from the screen-used prop and all were approved by the show's propmaster himself. Each badge includes a unique magnetic clasp, which uses strong, short-field magnets embedded in the badge and a separate backplate (included). 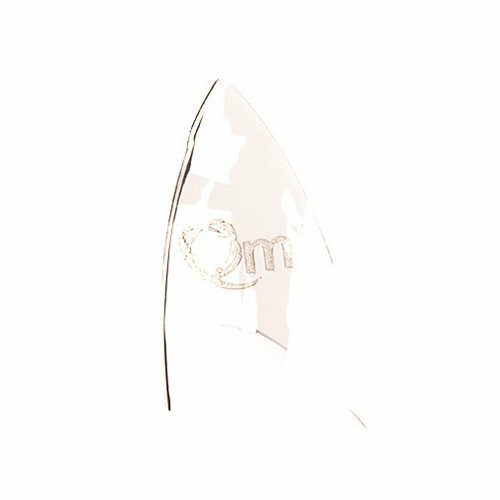 Perfect for delicate material like leather and suede. 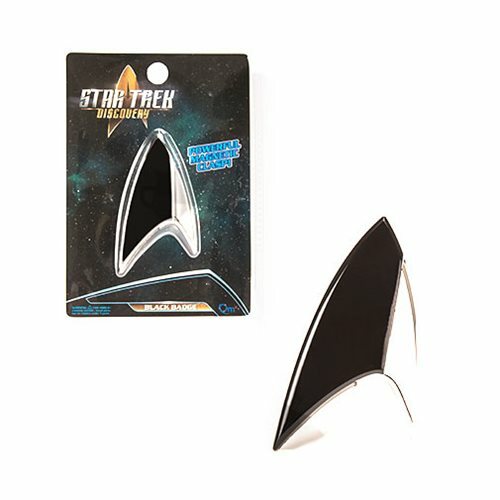 The Star Trek Discovery Black Badge Replica measures about 2 1/2-inches tall x 1 1/2-inches long and comes packaged in a blister pack. Ages 6 and up. Made in China.